Living a Fit and Full Life: Exciting New Splashlings Hit Walmart shelves this Month & Feature Ultra-rare Color Change Characters! Exciting New Splashlings Hit Walmart shelves this Month & Feature Ultra-rare Color Change Characters! Splashlings is an exciting adventure series about four mermaid friends who live in the magical undersea Kingdom of Orabel. Laila, Pasha, Ava and Ellie are smart, fun-loving and adventurous mermaids who have been chosen as the guardians of the sea, solving mysteries and keeping watch over their beautiful and beloved kingdom. Collect 2 Splashlings® in every foil pack. Try to find the rare color change Splashlings®! 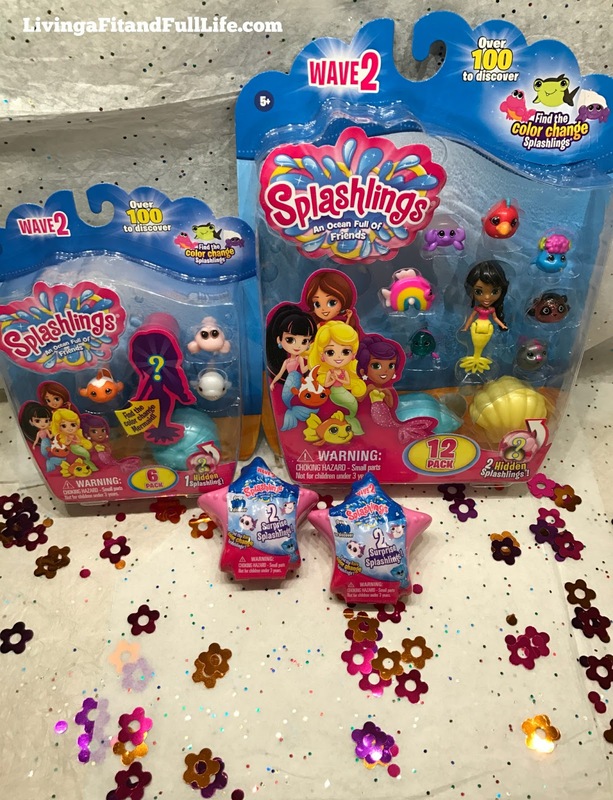 Exciting new Wave 2 Splashlings®! 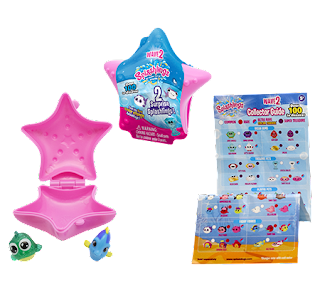 Open the new Star Shell to discover 2 secret Splashlings® inside! discover your secret Splashling®. Collect over 100 new Wave 2 Splashlings®! Find the rare color change Splashlings®! Exciting new Wave 2 Splashlings®! Open the treasure shell to discover your secret Splashling®. 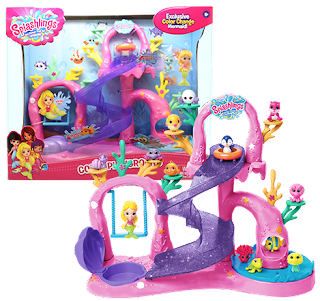 Collect over 100 new Wave 2 Splashlings®! Find the rare color change Splashlings®! The doctor will 'sea' you now. 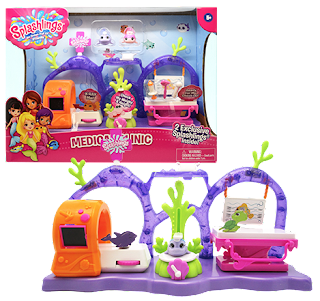 Mermaid and Splashlings® alike can get help from the Sturgeon Surgeon and Nurse Shark at the Splashlings® Medical Clinic. Every Splashling® loves going to the playground! Swim around the coral, slide down the aqua slide or go for a swing. Relax by chilling out in the shell hot tub. Splashlings Wave 2 have just hit store shelves but boy are they sure making a splash! My daughter just turned 9 and absolutely loves mermaids so these Splashlings are right up her alley. We opened them up together and it was incredibly fun for both of us as we had a blast checking to see which ones were rare, ultra rare and so on. She's been playing with them non stop since getting them and has already begun saving up her money to buy more. She also loves that the Splashlings can be displayed in their cute shells and she has since set up a whole Splashlings display on top of her dresser. As a mom of 4 I love toys like this that kids can both play with an collect. Splashlings are absolutely perfect for kids and I highly recommend them as they're both a blast to play with and collect! Click HERE to learn more about Splashlings! Follow Splashlings on social media! Improve Your Health with Dr. Ohhira’s Probiotics!